I'm truly privileged to know another Proudly Filipino Made Brand in the name of Leyende on their recent Real Benefits Campaign Launch, which is geared toward Holiday Shopping Holiday on a new, socially-relevant dimension. 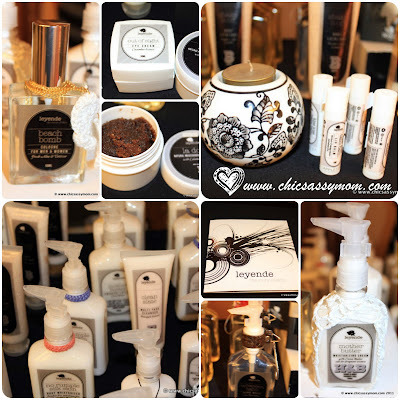 From the Spanish word leyenda, meaning “legend” or “story,” Leyende is an emerging Filipino brand of handmade, natural and organic bath and body products following eco-friendly, artisanal principles. As aforesaid, the event last Thursday, was to kickoff the Real Benefits Campaign. 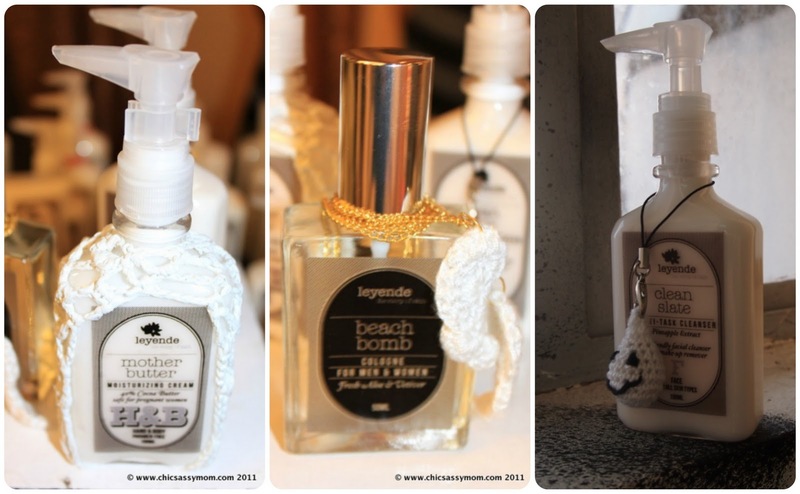 Introducing Leyende's Limited Edition Inspired Gifts for the Holidays...The Mother Butter Moisturizing Cocoa Butter Cream, The Beach Bomb Cologne, and The Clean Slate Multi-tasking Face Cleanser. Save a Mother, Save the Future! For every purchase of limited edition Mother Butter, you stave off stretchmarks and dry skin, and contribute P100 to help UNICEF's Maternal and Neonatal Healthcare Program reach more expectant women in need from remote areas. The Sweet Scent of Freedom! For every purchase of limited-edition Beach Bomb cologne, the refreshing blend of aloe, vetiver and coconut essences lifts the spirits, knowing that P100 of it goes directly to the daily needs and rehabilitation costs of the residents of Marillac Shelter for Women. Wash away ignorance! For every purchase of limited edition Clean Slate Multi-tasking Face Cleanser that cleanses skin without overdrying or stripping off natural oils, you donate P100 to the Project H.OU.S.E. College Fund, which is going to sponsor the education of at-risk, out-of-school youth who undergo work-study program with Messy Bessy worry-free, ecofriendly household cleaners. The company's integrity and dedication to high quality resulted in using only premium, certified natural and organic components for Leyende products. Leyende's key ingredients are certified and/or approved by ECOCERT, an internationally-recognized, impartial certifying authority based in France with headquarters in over 80 countries worldwide. 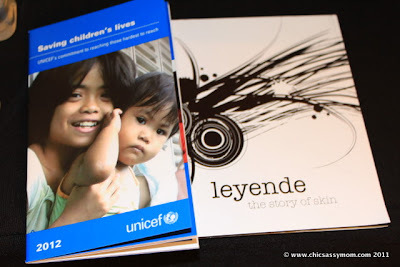 In 2008, Leyende was included in the book 50 Must-Buys in Manila edited by Michael Salientes (top stylist and former art director of Details magazine) and Janina Dizon Hoschka (jewelry designer). Our products are especially favored among young professionals, the artistic community, eco-conscious homemakers and international community. Through our quality natural and organic products, we strive to represent the Philippines (and Filipino companies in general) positively and professionally in the global scene. Layenda is the brainchild of awarded poet and freelance writer, Ms. Neva Kares Talladen (on the leftmost in gray/black top). Together with other Leyende's ambassadors, they talk on the rewarding experience of Layenda. Hmmm... 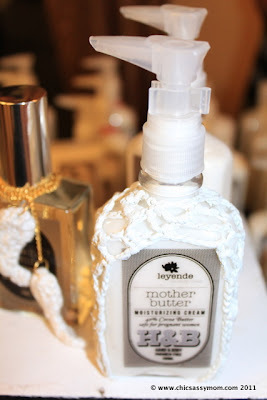 I just checked Jeyende's site and now I cant wait to go to the mall to buy and test some of their products. 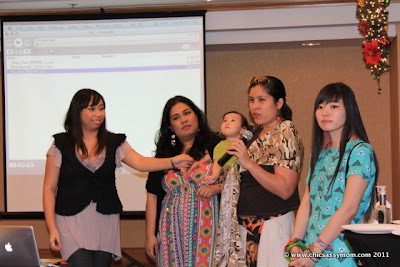 Thanks for this blog, Des!